Avocados are everywhere. From coast to coast and from salad to toast, the creamy green fruit is as ubiquitous as it is delicious. Sparks of flavor, versatility, and meme-ability have ignited an avocado love that has us clamoring for our next slice at every chance — extra charge be damned! Still, despite our familiarity with avocados, they manage to take us by surprise all the time. We’ve all gambled on that last “good” avocado on the supermarket shelf and lost. We all know the frustration of trashing an avocado (or three) before we can find a good slice, or even decide on a recipe. Since Apeel Avocados hit store shelves in June last year, we’ve proven you can have your avocados and eat them too!  We’ve received TONS of questions about what makes avocados tick and how Apeel helps them stay better for longer. In response, we sat down with two of our (many) avocado experts, Cody Vild, Ph.D., and Savannah Dearden, MA, to talk Apeel, avocados, and more! First things first. Why did you decide to study avocados? Savannah Dearden: I find avocados fascinating because they're not a well-studied fruit, especially genetically. Additionally, avocados — as a fruit — are unique. While most fruits store sugars, which is why they're sweet, avocados store fatty molecules which, in my opinion, make them more delicious! Cody Vild: I’ve always been intrigued by the biology of ‘why’ something happens at a molecular level. Why does our product make avocados last longer from the cell’s perspective? How many varieties of avocados are there? Vild: Too many to count! 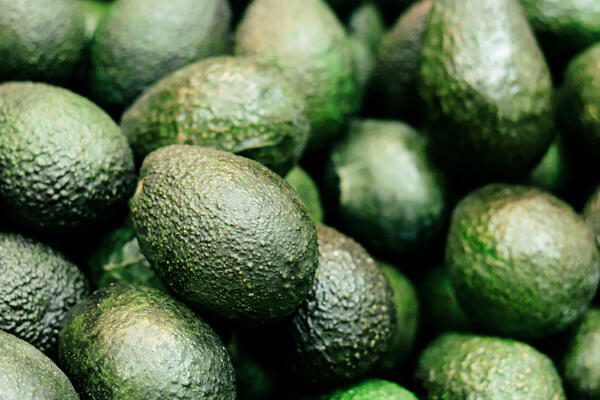 The more popular avocado varieties are Haas, Pinkerton, Bacon, and Fuerte. In the American market, Mexican Hass is the most dominant, as Mexico has the ideal conditions to grow avocados year round. What is the best way to store my avocado before I cut into it? Vild: Before an avocado is ripe, the best way to store it is on the shelf — it won’t ripen well in the fridge. This is because enzymatic reactions are slower in the cold, which messes with the ripening process. Once ripe, though, you can extend the shelf life of the avocado a little bit by putting it in the fridge. Dearden: When the avocado has been stored in the cold while it’s trying to ripen, all of the reactions that are making it soft and yummy are being slowed to the point that it's causing the cells to freak out, often resulting in browning. This also happens if you put an already ripe avocado in the fridge for too long. While avocados are ripening, be sure to store them on a shelf and not in the extreme hot or cold. The bonus when you buy Apeel Avocados is that they maintain their quality and ripeness for longer without requiring the use of refrigeration. Dearden: Avocados don’t begin to ripen until they are picked from the tree. Really, ripening is a set of signals that cause fruit to decay. If you think about it, biologically, all fruit’s goal is to get soft in order to get their seed out, so that the next generation of trees can prosper. Vild: Avocados begin to soften as they ripen because their structural components break down, which makes the flesh become soft. Depending on the variety of avocado, the color of the peel changes. Hass avocados change into a dark purple, almost black, color. Physiologically, there are a lot of reactions that occur due to a number of different molecules created or destroyed and released by the avocado’s cells. These reactions soften the avocado’s skin cell walls and produce compounds that make it look darker. I just cut into a fresh avocado and it’s already brown! What happened? Dearden: We’ve all crossed our fingers before cutting a “good” avocado, only to find it already brown inside! The brown color comes from the breakdown of the cells in the avocado, which can be from a variety of stresses, the main one being mold. There are a few different types of fungi that can infect an avocado. Some can invade from the stem and some can dig through the peel. When browning starts from the stem end especially, it’s usually because of mold. Often, stem end rot starts before the avocado is even grown! Mold spores can be introduced to the flower right when it is pollinated and hide until you finally cut the fully grown avocado open. Vild: Browning can also happen because the avocado was stored in conditions that were too cold or too warm, or because it was dropped or bruised. Speaking of browning, why do avocados brown so quickly once they're sliced? Can you reduce browning or stop it altogether? Vild: Browning occurs when you cut open an avocado because you’re stressing the cells, which can release enzymes that react with oxygen to expedite browning of the flesh. Dearden: The brown color itself comes from certain molecules in the avocado. These molecules are capable of reacting with other molecules called reactive oxygen species, which happens when a cut avocado is exposed to air. The reaction between these creates the brown pigment. Adding citric acid (lemon or lime juice) will slow down the browning process. This citric acid helps destroy the enzymes that cause browning, and it also reacts with the molecules that make the avocado flesh become brown. How do I know my avocado is ready to eat? Vild: With Apeel, avocados have double the ripe time, but even with extra days on the clock, it is still tricky to judge just when they are ready to eat. So, you can tell if your avocado is ripe by giving it a squeeze between your palm and fingers. If it has mild give, it's ready. If it is squishy, it is past the point of eating - it’s ready to be made into guacamole! Dearden: When you think of cooking fruits, you think of caramelizing them, but since avocados are fatty and not sugary, it’s more like cooking butter, so try grilling or frying your next avocado. I also love avocado brownies. I will use an avocado or two instead of eggs and butter so that the brownies come out dense and fudgy. Also, avocado ice cream is delicious! Let’s talk about avocado trees! Dearden: In order to grow a successful avocado tree, you need to make sure that you keep it away from extreme heat or cold. In California, avocado ranches are close to the coast, as it doesn’t get too hot or too cold for the tree to flourish. The trees also prefer humidity, which is why they grow so well in Mexico. If you are growing your own avocado tree from an avocado pit, be prepared to wait a while. It takes avocado trees 10 years to mature from a seedling. The trees have one big tap root that holds them up and provides support. They have additional feeder roots that take nutrients from the soil, and are actually located within the first couple inches of the surface. How do avocado trees produce avocados? Dearden: Avocado trees have flowers that need to be pollinated in order to grow avocado fruit. Once they are pollinated, it still takes a while for avocados to grow. Avocado trees usually bloom once a year (in California), and it takes the pollinated flower two years to turn into a harvestable fruit. 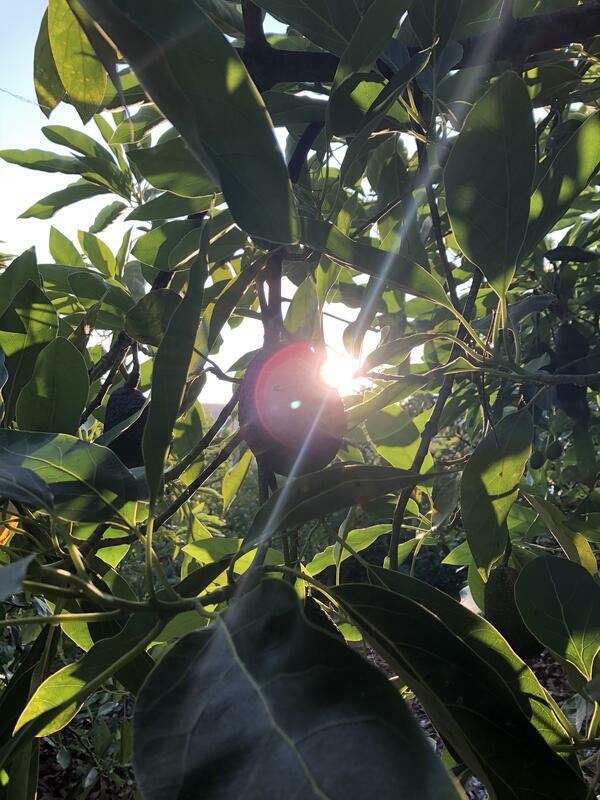 Vild: In order to increase their likelihood of being pollinated, avocado trees have two types of flowers that open at different times of the day, which is unique. If one flower begins to open, the other flower closes, in order to prevent self-pollination, which is a very smart evolutionary tactic. 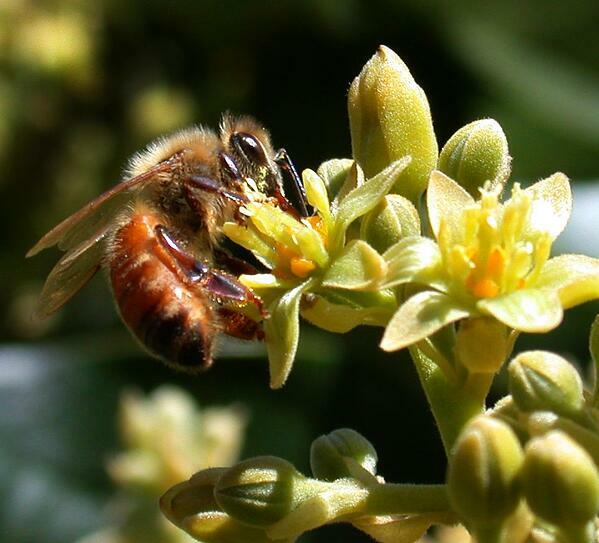 Dearden: In California, most of the pollination between avocado trees is done by bees, so be kind to the next bee you see — they might have just helped create an avocado! Is a Hass avocado grown in Mexico any different from one grown in Peru or California? Dearden: There technically aren’t many differences, but since they’re grown in different environments, they do have different characteristics in their skin. It’s been postulated that humidity plays a big role in causing these differences. Mexican avocados are grown in areas which have a higher average humidity than in California, and this makes their skin grow differently. What’s your favorite type of avocado? Vild: Bacon, because they kind of taste like bacon. Dearden: Fuertes, because they can get so huge there is more to eat. How many avocados can you juggle? Dearden: One...because I can’t juggle. Do you have a final word on avocados? Vild: With Apeel, avocados maintain delicious quality and ripeness for much longer without requiring the use of refrigeration. That means more time for you and your family to enjoy them, and less food goes to waste! Dearden: Avocados are great! Eat them! Special thanks to Cody Vild, Ph.D., and Savannah Dearden, MA.